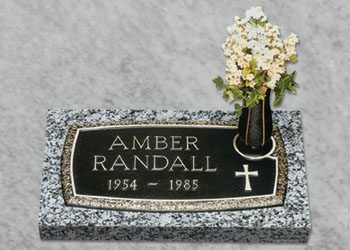 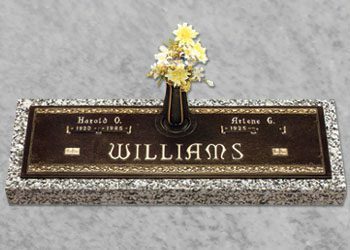 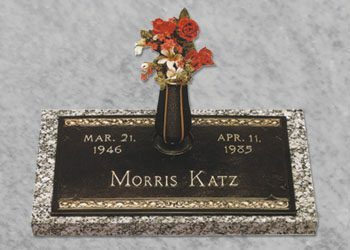 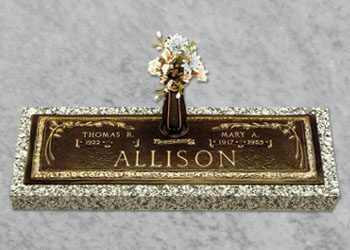 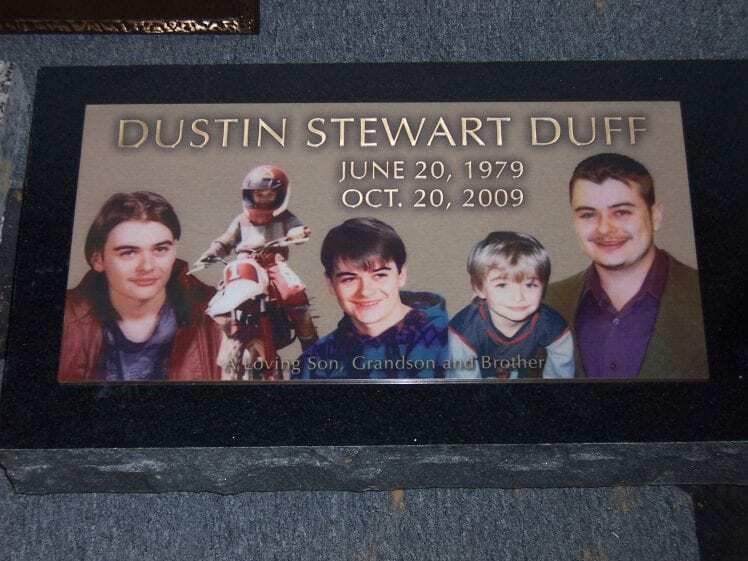 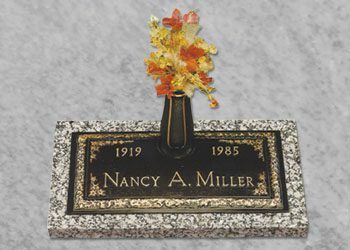 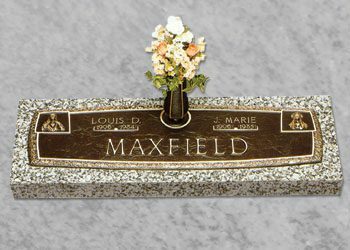 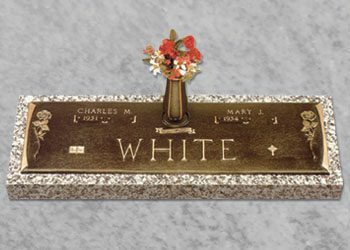 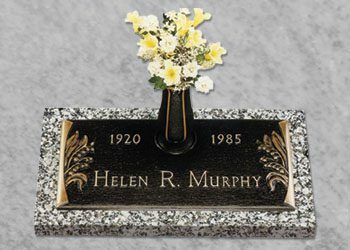 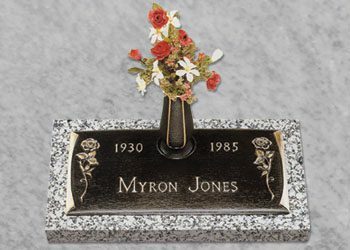 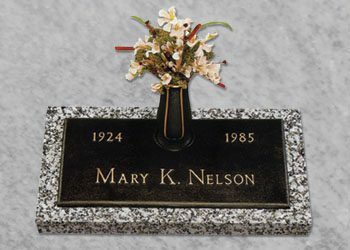 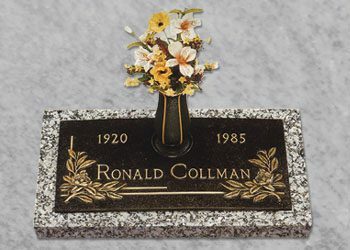 Bronze grave markers or headstones traditionally sit atop granite pieces, and can include bronze vases and emblems to tell your family’s story. 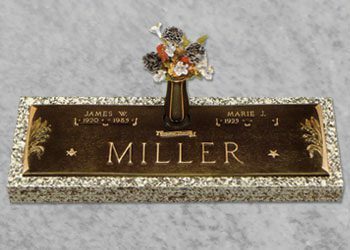 They are available in single sizes up to four family members. 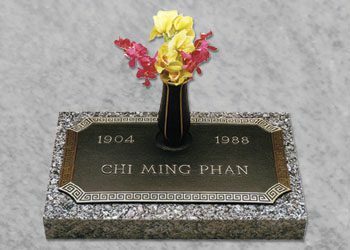 We can also create bronze markers to be included at the foot of a plot, if allowed by the cemetery. 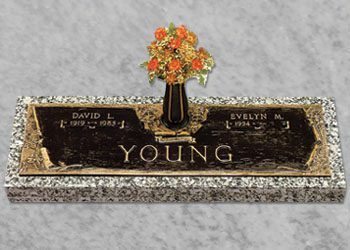 We are proud to help any Veteran or family member order their V.A. 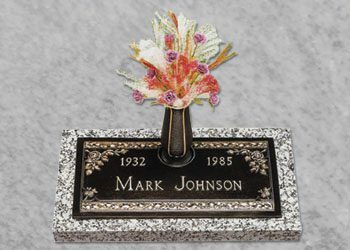 Marker, as well as assist family members to create a bronze marker that matches their companions.